Established in 1917 in Tacoma, Washington, USA, Globe Machine Manufacturing Company recently celebrated 100 years as a machinery systems designer & builder, with expertise in high capacity automated production systems. 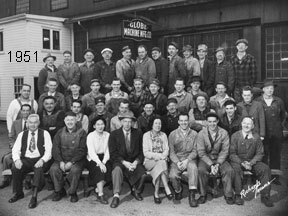 Starting in 1917, Globe developed as an engineering and manufacturing company supplying machinery for the Door and Plywood Industry. As the Composite Wood Panel industry developed in the 1960's and 1970's, Globe was involved in producing lines for some of the early particleboard, MDF and wafer board plants. As these industries matured, Globe’s involvement in the development of the North American OSB and Engineered Wood Industry stimulated growth in the company in terms of size and technical capabilities. 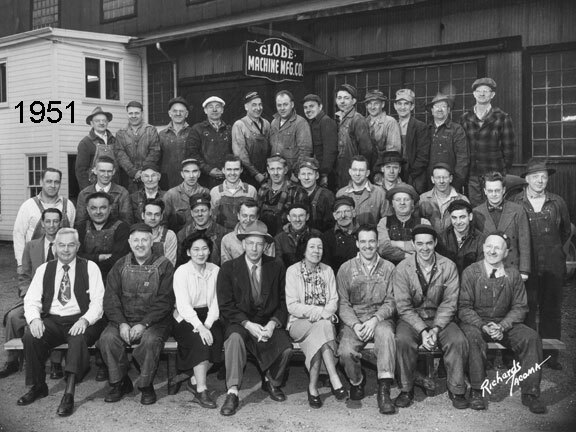 Globe’s history includes leading the development of process technology areas such as Plywood Manufacturing, Wood I-Joists and other Engineered Wood Products, Panel Finishing and Coating, and integrated Automated Storage & Retrieval. These activities are significant worldwide, with major installations in North America, Europe, South America and Asia. Today, Globe is a premier supplier of custom designed, built, and fully integrated equipment and systems for industries that include plastic composites, automotive, aerospace, pulp and paper, and building products. Recent developments in high capacity, automated manufacturing systems include Wind Turbine Blade Automation, Out-of-Autoclave Composite Press Systems, and Ultra-high Pressure Press lines for Plastic Armor. Much of the company’s supply is built to suit our customer’s particular preferences, and Globe specializes in developing new solutions to meet each new challenge. This is reflected in our design capabilities. 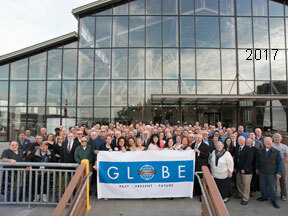 More than 20 percent of Globe’s staff is directly involved, on a full-time basis, in machine design and development. Our company’s capabilities are not limited to those industries that may be featured on this website. 1958 Advertisement of Globe Machinery. Click thumbnail for larger view.